Hilda, I agree with you about the radishes. Yes, you do have to be so careful using the mandoline…I did manage to cut myself! Oh well, live and learn! 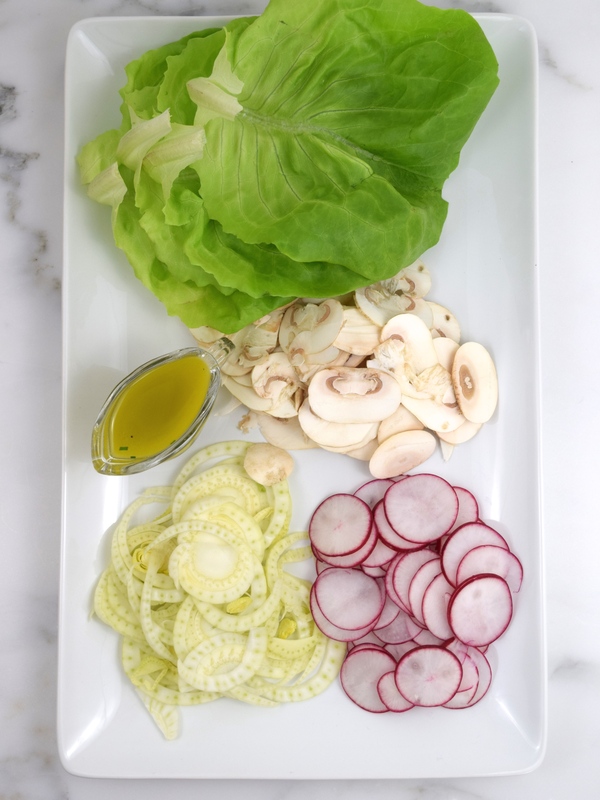 Mandolines are so great , love how this salad makes good use of it…beautiful! Thanks, Bonnie. I can’t believe I waited this long to buy one! As careful as I was I still managed to cut myself! Going to use this gadget a lot! Your salad looks so beautiful! 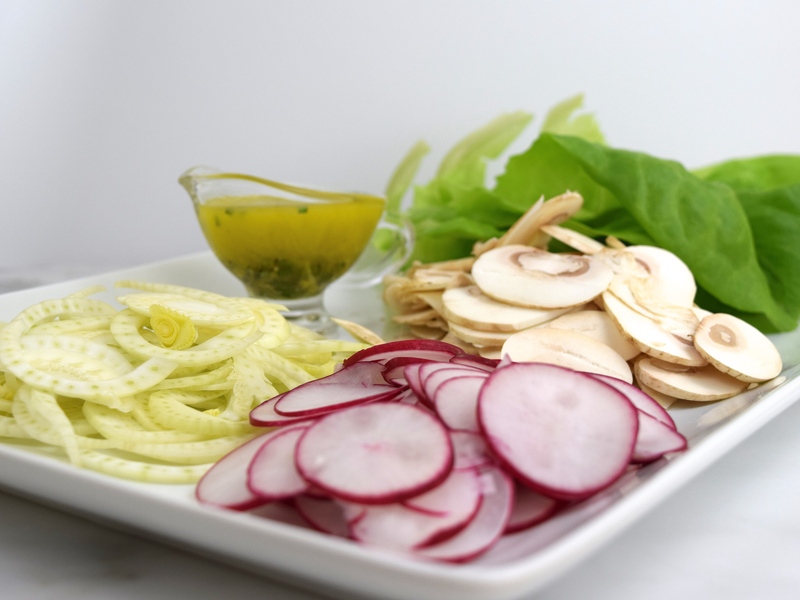 What a simple and fresh salad! 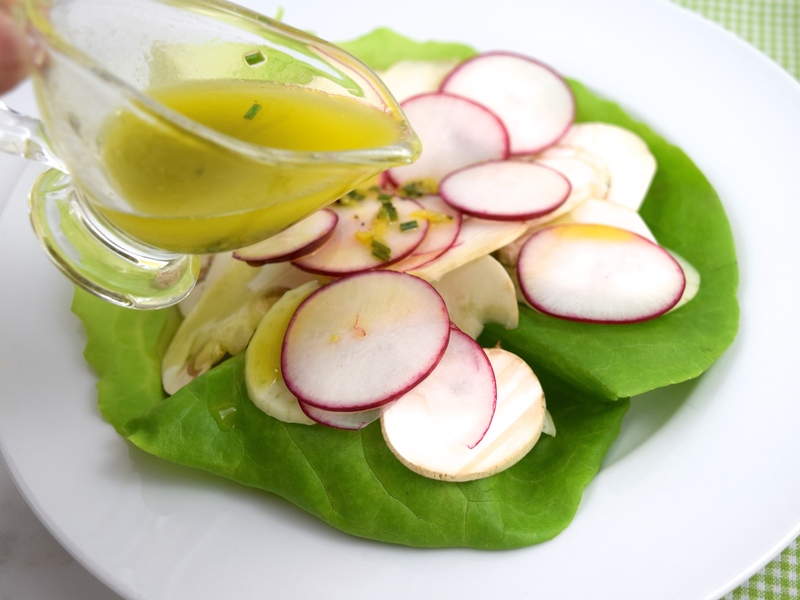 I love bib lettuce; it’s so tender, and so it sounds perfect when paired with more crisp fennel and radish. Thank you so much! 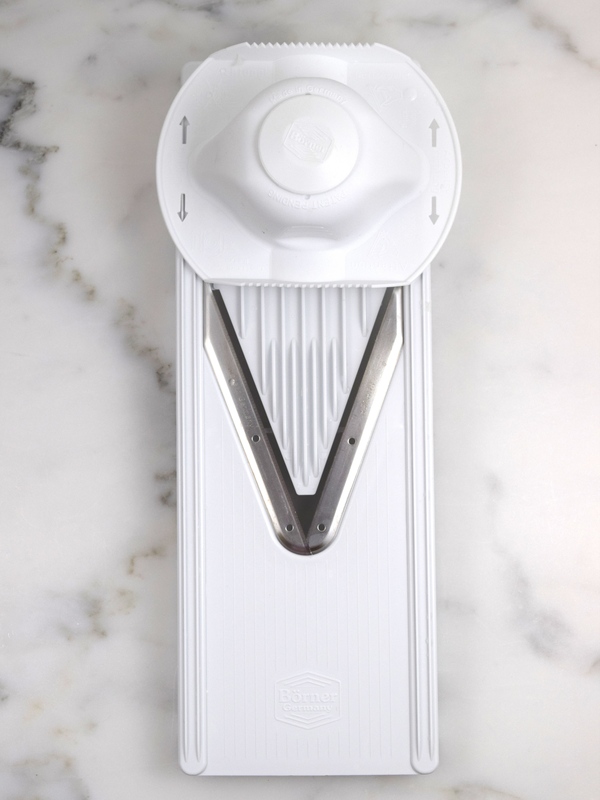 Yes, you have to be very careful when using a mandoline. I did cut myself! This salad does look delicious! Nice and crispy with a great vinaigrette. I have a mandoline too and boy you have to be careful with those things! 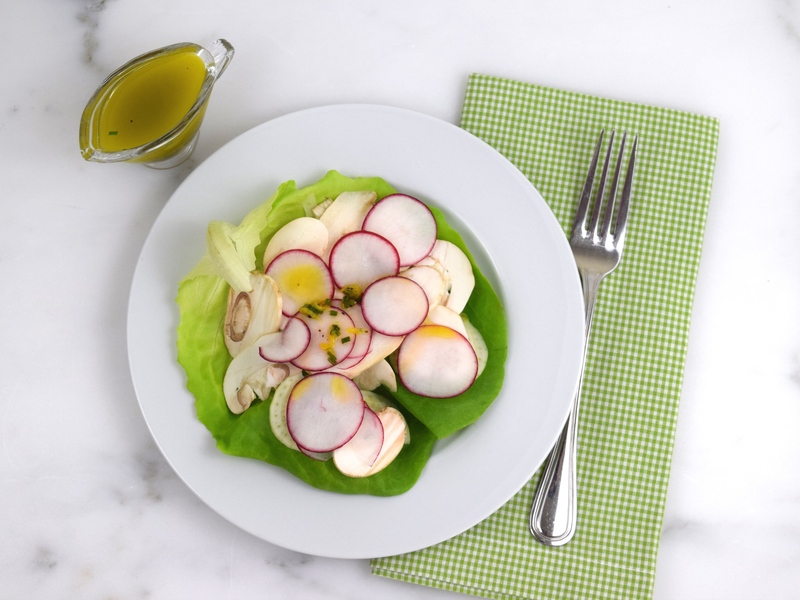 Yes, it is a very refreshing salad and you do need to be very careful with using the mandoline…I did cut myself! Thank you for commenting! Oh my! That thing is dangerous! Yes, it is! But it is a great kitchen tool, if used properly!